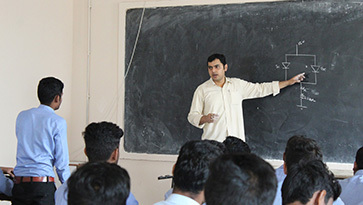 The foundation of this department was laid way back in 1998 with an aim to impart the best of quality education in order to inculcate and enhance the technical know-how among students, so that they can stand firm on all platforms by leading the tech savvy generation to the pinnacle of technology. The department is second to none and we boast of that. The department stands on the twin shoulders of old and young faculties, thereby maintaining a perfect harmony between quality, experience and dynamism. 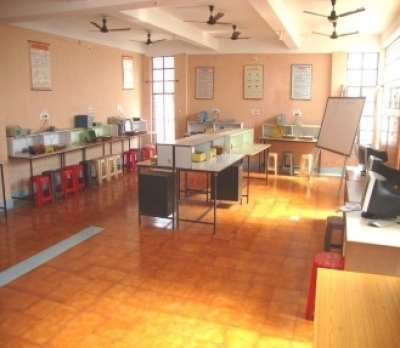 We have fully furnished and well to do laboratories as per the latest university guidelines and are being handled by the best of laboratory staff. All the faculties are highly qualified with an unquenchable thirst to teach and learn. The department has its own library which is equipped with books, magazines, journals and software. The faculties are always encouraged to participate in conferences, seminars and workshops to lean as well as present research papers. The department continuously endeavors to nurture and develop the talent of the students by imparting quality coaching and guidance while maintaining a perfect level of moral values.The Electronics & Telecommunication department has well equipped laboratories and qualified teachers. The Dept. has designed industrial prototype gadgets and has done consultancy in the sphere of lab equipments upgradation and railway train running safety measures. Most of the teachers are having M.Tech qualifications and a Ph.d.
Asst. 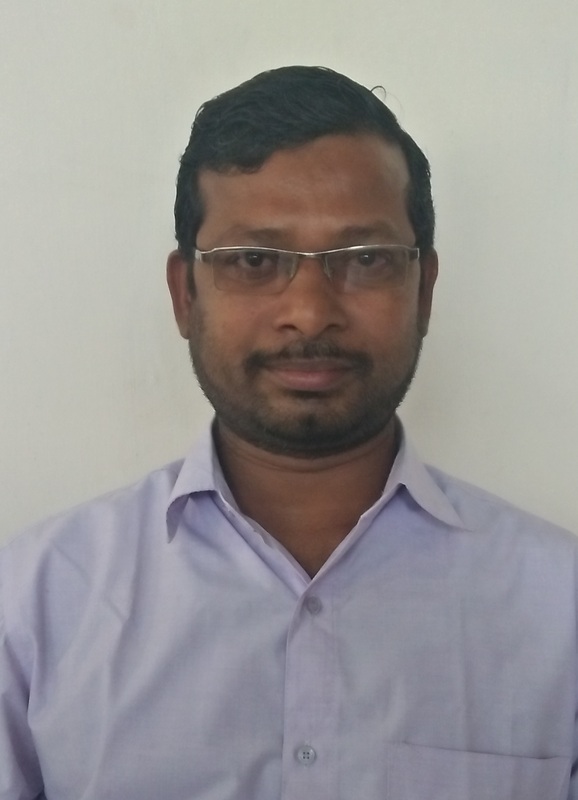 Prof. K Ramesh did his post graduate in communication systems from KIIT university in the year of 2006. He has 17 years of teaching experience and has organized numerous national seminars and student workshops. He has 5 research papers to his credit ,which have been published in national and international journals. 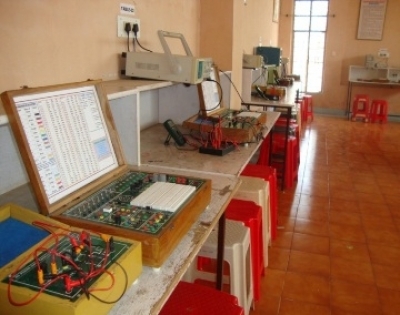 This lab aims at familiarisation, identification, and testing of Electronic components like Diodes, Transistors (BJT & FET), Operational Amplifiers. 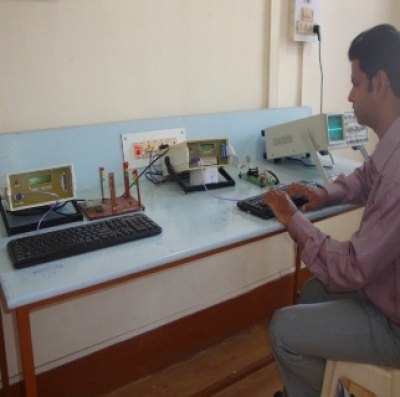 Practical training on Amplifiers, Oscillators, Power Supply Rectifiers, Logic Gates, use of measuring equipments, e.g. 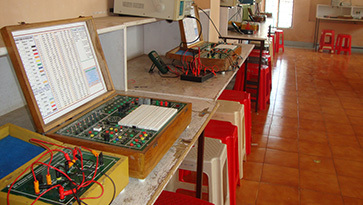 Multimeters, Oscilloscope, Function Generator are taught. Students are also taught circuit connections using bread board. Major Equipments at this lab are :Oscilloscopes, Function Generator, Universal Trainer Kit, Diode, BJT Characteristics Trainer kit, Rectifiers, Op Amp Trainer Kit, Amplifier Trainer Kit, Logic Gate Trainer Kit, Digital and Analog Multimeter. Understanding of various electronic equipments, eg. Amplifiers, Oscillators, regulated power supply, active and passive filter multivibrator, etc are given in this lab.Stress is given to designing, implementation and testing of electronic circuits using bread board, power supply, etc. 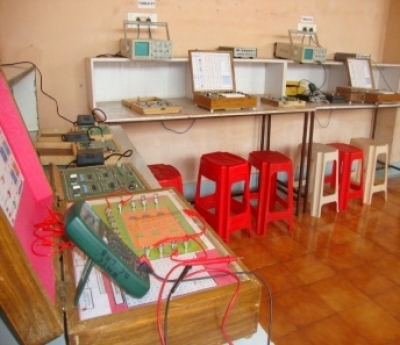 Major Equipments at this lab are :Oscilloscopes, Function Generator, Universal Trainer Kit, BJT FET Trainer kit, Op Amp Trainer Kit, Amplifier Trainer Kit, Digital and Analog Multimeter and DC Power Supply. 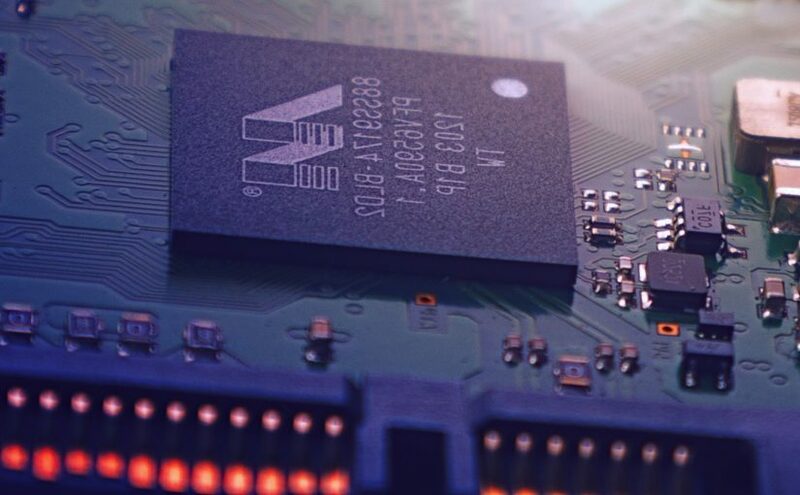 With the ideas of basic logic system, the various logic circuites, e.g., adder, subtractor, code convertes, multiplexer, combinational & sequential logic circuits are implemented by the students. Also using the simulation software like Xilinix, the different logic circuits are simulated and verified. Major Equipments at this lab are : Digital and Analog Multimeter, DC Power Supply, Binary Counter trainer Kit, Code converter Trainer Kit, Multiplexure & Demultiplexure Trainer kit, Flip Flop Trainer Kit, Adder and Subtractor Trainer Kit, Shift register Trainer Kit and Universal Trainer Kit. This lab aims at helping students understand various Analog and Digital types of communication system with the help of relevant trainer kits. 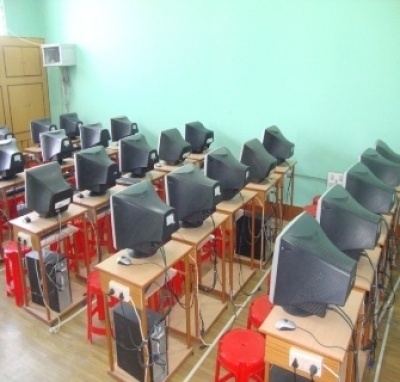 Importance is given to design communication equipments for which simulation software usage is encouraged. 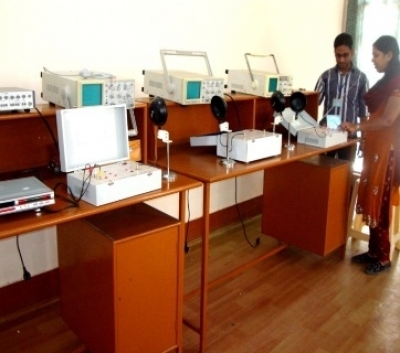 Students also verify different signals through Spectrum Analyser to have knowledge on the different types of signals. Major Equipments at this lab are : Amplitude, Frequency Modulation & Demodulation Trainer Kit, TDM, PCM Transmeter & Receiver Trainer Kit, PAM, PPM, PWM & QAM Trainer Kit, Delta Sigma Modulation & Demodulation Trainer Kit, ASK, FSK, PSK, DPSK & QPSK Trainer Kit, PN Sequence Generation Trainer Kit, Spectrum Analyser, Oscilloscope, Function Generator, Active & Passive Filter Trainer Kit and Dm & Adm Modulation Trainer Kit. 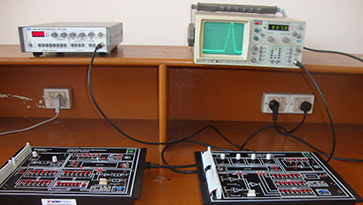 This lab helps to understand various signal processing techniques and algorithms with adequate number of advanced computers and software MATLAB. Students get an oppurtunity to develop algorithm and implement through MATLAB DSP Processors like TMS 6713 and TMS 320c50. Students utilise the lab facilities for their minor and major projects during their graduating year. Various programs are implemented by using 8085, 8086 Microprocessor, 8051 micro controller, Interface 8255, 8253, 8257, 8251. D/A, A/D Converter, Stepper Motor Control, Temperature Control, Traffic Control Technique are implemented through Micro Controllers.